called etisalat magic ip has been blocked by smart guys few days ago. leave other fields the way it is, run and install. users should download here for apk. Can This work on All Android Phone? Watch out for more update. After sending PAYU to 127,d reply i got was dat,d plan am trying to purchase is not compatible with my curent data plan. does it work on pc prof? I'm not currently on Pc but if it ask for any childlock, enter "www.nextwap.net" without he quote. this is not a magic ip. it's just a normal opera mini stuff that has been on for months. 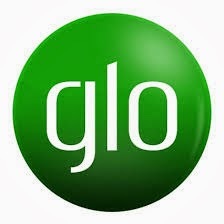 Not saying you're not doing a good job, but you could have just said glo opera mini and ucweb settings. @yomi my mtn is no more surfing even wen am using bbcday and a VPN. Pls help me out. On java phones, where do i enter the Apn and ip and port? inside the U.C web handler? or in the phone settings? Pls Prof. What happens to ur credit, if u hav, wil it b deductd or is this tweak meant 4 browsing wit just 0.0 naira?